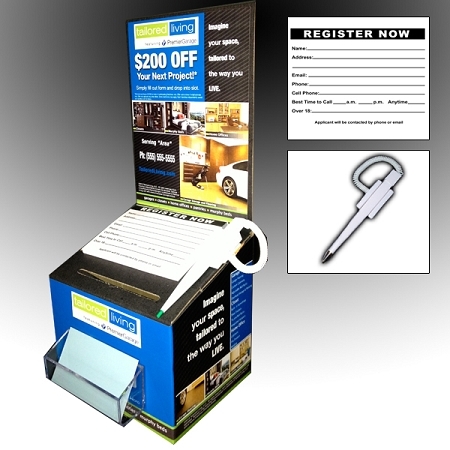 Includes: 1 black contest box, 1 decal sticker(top), 1 decal sticker(wrap around), 1 general purpose entry pad, 1 white security pen and 1 plastic business card holder. Designed exclusively for Tailored Living. Once order is placed we will email you a proof of artwork with your "Serving Area" and phone number added to the design. Once proof is confirmed we will ship within 1-2 business days. When checking out add your phone number and Serving Area in the comment section. 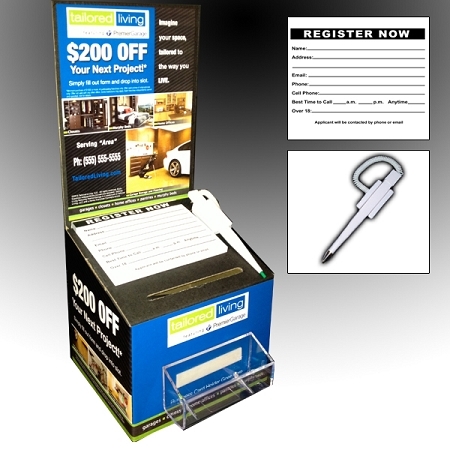 1 plastic business card holder that attaches to front of box.